Unfortunately, the massive machine we call “The Electricity Grid”, has seen very little of this change over the decades, but, with the global introduction of alternative energy it is one of the fastest changing aspects in the world right now. The Paris climate agreement has (mostly) brought consensus among the world’s nations on the fact that every nation will feel the effects of climate change and we need to take action together to deal with it. This has spurred the adoption of technologies like solar power, batteries storage and electric vehicles. These changes are enabling the Power Grid as we have known it to evolve and still operate to ensure we have the luxury of 24/7 electricity that we have come to enjoy. This change is creating a need for both consumers and producers to upgrade so we can have the benefits of renewables and the consistency of traditional energy sources. Currently, we have an archaic electric operating system, similar to the hotel booking process 20 years ago. The current electric operating system is set up for the big centralized energy sources, and is hard for everyone to tap into this revenue stream. We still need these centralized energy sources, but also need a mechanism comparable to Airbnb that will allow this once closed business model to be harnessed by anyone with a home. Solar technology is considered a distributed energy resource (DER), from residential rooftops to solar farms in the countryside these are small power plants distributed throughout the electrical grid. This allows us to generate power where it is being used and diminishes the need for massive transmission lines that criss-cross our landscape. This does come with some problems to solve - what do we do at night? An electricity system operator needs to balance load with generation, and this is becoming more and more complex as we get generation sources that are not as predictable and are spread out with WAY more points of power generation to control. We need to upgrade our system to allow for new technology and a new way to trade energy. With this new era of technology customers are moving from the traditional consumer to becoming both a producer and consumer or prosumer. Unfortunately, we are not yet equipped to leverage these opportunities and produce the final product needed for our electrical grid. We are still in the early stages of solar penetration into the marketplace so it is not a problem yet but more and more people are becoming prosumers. The most logical answer is what is called a “virtual power plant (VPP)”. A virtual power plant allows many different technologies and sites to be grouped together and increase their effectiveness while maintaining the reliability of the grid we currently enjoy today, examples exist like the Australia VPP build by Tesla. It can allow consumers to choose what type of electricity they want to purchase and gives the mechanism for people to participate in the electrical market like never before. It not only unlocks real potential for solar and battery storage to become a major mix in our electrical market, it can also allow communities to create more independence from the larger system and produce their own energy. A VPP can allow us to go way beyond just power generation; we would be able to harness the Internet Of Things (IoT) enabled devices and control our loads as well. What this then spawns is the ability to turn electric car chargers on or off depending on the current strike price of electricity, storing electricity while it is abundant and cheap. It will incentivise not wasting electricity and engage prosumers to use power smarter. This will all be done from a smart phone, kind of like setting up your room for rent on Airbnb. This will allow you to purchases your electricity from friends that own solar directly if/when regulations allow. 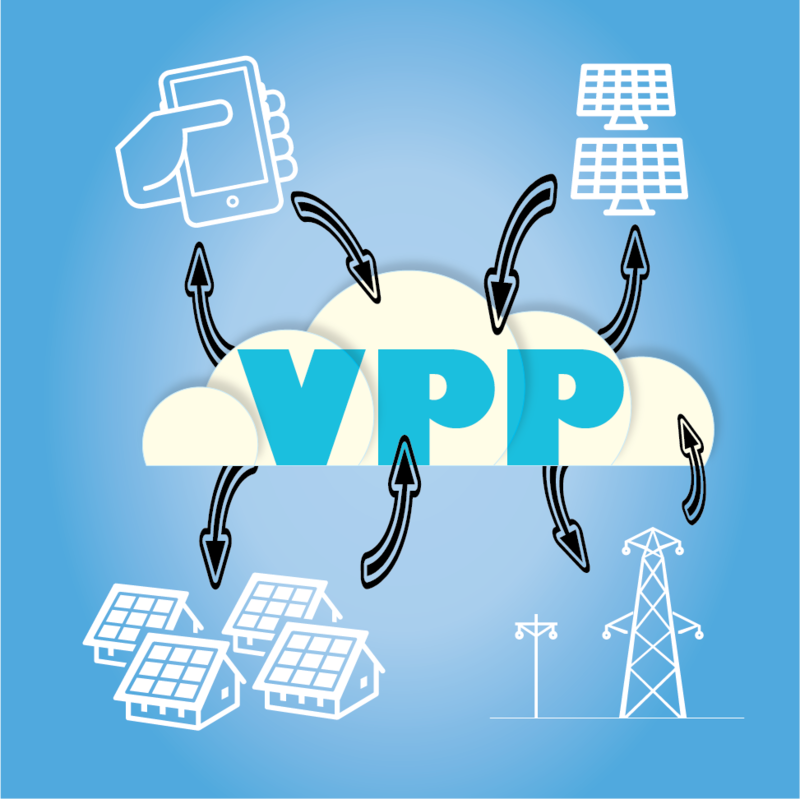 A VPP could lead to a world where we collectively own the electric utility and share our energy with our community or even trade energy for goods and services. How creatively we use it depends only on how much vision we have and whether regulations are created that benefit your community. The future possibilities are limitless! There is no telling how this technology will allow the world we live in to evolve but I am sure it will be as profound as turning your home into a hotel. We will see this big business get put in the hands of everyone and spawn an entire new local economy around it. One thing is for sure; Solar PV systems will be one of the key technologies that empower us to own our power. Winter brings questions about solar.